I would gather that most evangelicals have had this conversation. Some have literally had this conversation with an atheist. But most have this conversation in the privacy of their own head, every time they hear someone “going on and on about the so-called theory of evolution” or someone making fun of the seeming absurdity of Christian belief. But evolution is just a test-case. This same conversation is had about any number of things: the miracles of the Bible, the “literalness” of the Bible, even the Resurrection of Jesus. And it sounds innocent enough. But it’s not. The evangelical response in this conversation is hypocritical and unfair.  When we are faced with scientific evidence or discrepancies in the Bible that seem to undermine our way of reading the Bible, we want to play the victim. We must resist the temptation to believe the evidence and simply “have faith.” That means we must trust the Bible (or I would argue, our way of reading the Bible, but many do not understand that those are two different things) against the evidence of scientists, “godless” Bible scholars who have been influenced by “the world,” anthropologists, etc. So which is it? It sounds hypocritical to try to have both. So, let me get this straight. Whenever the evidence is in our favor, we like it and use it to point to the “truth” of Christianity over against atheism or other religions. If you don’t believe that evidence you are being unreasonable. But whenever the evidence is not in our favor, we dismiss it as “the godless agenda of science” and fall back on “the only evidence we need is (our way of reading) the Bible.” And if you believe that evidence you have been corrupted by “the world” and lack faith. It sounds more like someone who mocks nice cars because secretly they wish they had one than trying to reflect the humility we find in Jesus. I love evangelicalism in the way I grew up with it. But, as this blog can attest, I often have a hard time understanding it. I find it full of inconsistencies that are hard to reconcile. This is one of those areas. And I believe this is an area that truly hurts our image in the world. We arrogantly proclaim we are the most reasonable option in the world when it suits us and we play the innocent victim who is being persecuted for our beliefs when the evidence game is not going our way. Who wants to be a part of such a manipulative system? But my goal in this and all posts is always deconstruction, not destruction. It is a critique-so-that-it-can-be-stronger, not a critique-it-because-i-am-angry. Those are two very different projects. My posts are always about starting a conversation, never about ending them. So may the conversation begin. *I talk about this more here.